• Call GCC and enquire about great trade-in offers. Which large-format business printer combines high-speed output for correspondence, spreadsheets and reports with high-resolution for presentation graphics, all in a multitude of paper sizes, with the quality and reliability you demand? The Elite XL 40N™ from GCC Technologies®. The Elite XL 40N is also incredibly reliable. It’s been designed to last for well over a half million pages of output. 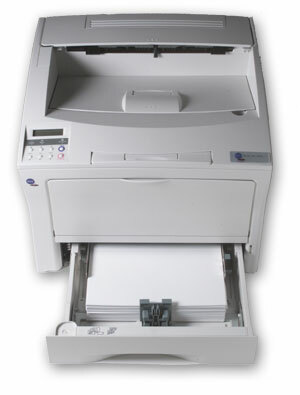 In addition, the Elite XL 40N offers true multiplatform printing. With both PostScript and PCL languages built in, the printer can handle jobs from Macintosh, Windows, UNIX and DOS platforms effortlessly. printer that combines speed, reliability, flexibility and higher resolution with GCC’s continued commitment to quality and service, you’re looking for the GCC Elite XL 40N.